An image from the book "Patmos: As the Seagull Flies". American photographer Robert McCabe has been documenting Greece since the mid-1950s, treating everything pure and untouched by “progress” with reverence. Thanks to his dedication and countless trips around the country, he has captured in his images an atmosphere that has all but disappeared. 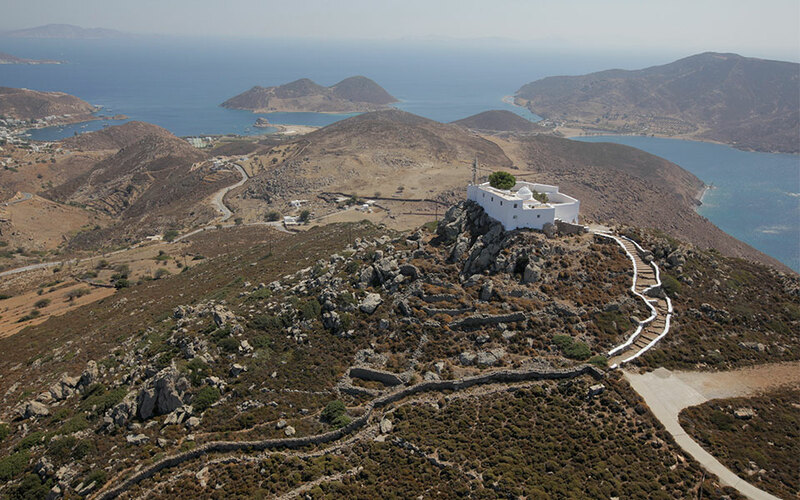 During these travels, the place he has become the most attached to is Patmos. McCabe even bought a house on the Aegean island, where he spends his summers with his family. His daughter, Byzantinologist Anne McCabe, shares her father’s love for this beautiful and mystical place. A recent publication by Anavasi editions is testimony to her feelings about the island. Put together in collaboration with the talented photographer Penelope Matsouka, the work presents aerial views of the island by Matsouka, with text by Anne McCabe. The result is a wonderful album aptly titled Patmos: As the Seagull Flies. 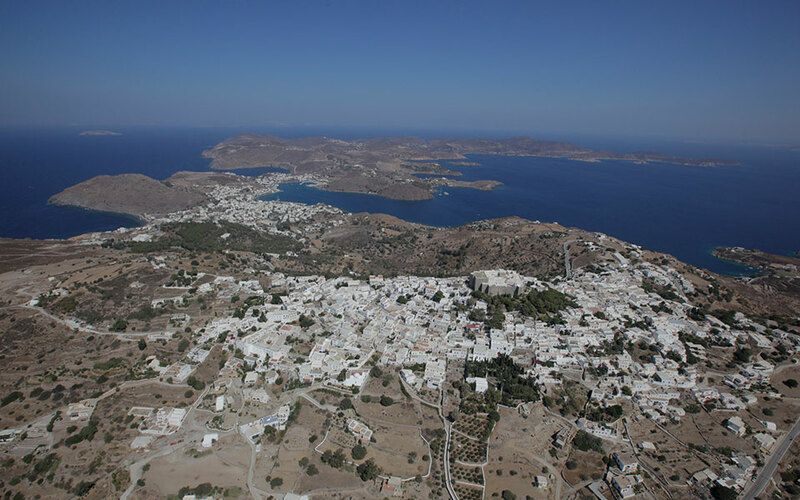 Shot from a unique vantage point, Patmos indeed looks nothing less than spectacular. 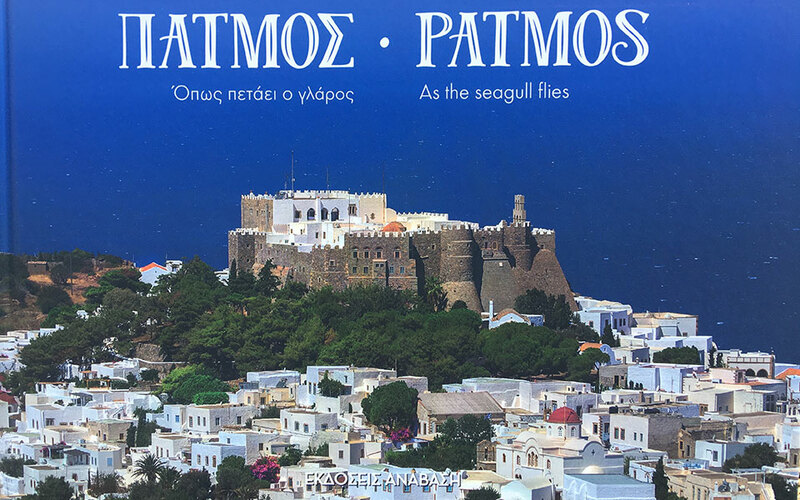 The cover of the book "Patmos: As the Seagull Flies". 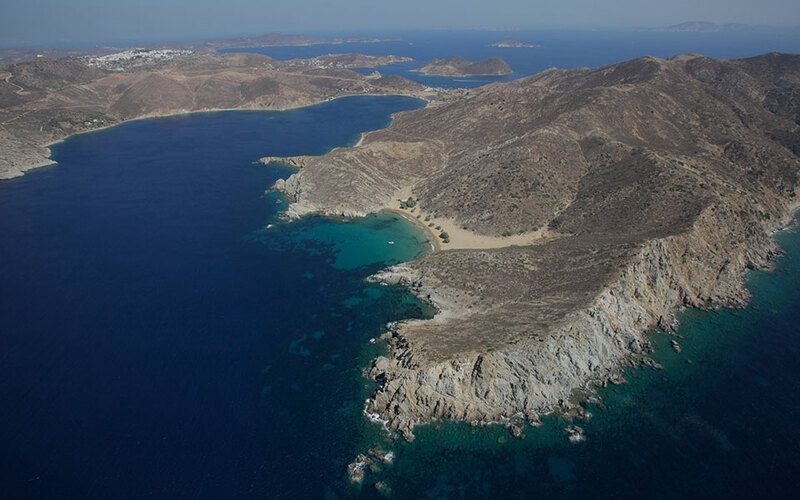 “Seen from the air, the island resembles a seahorse facing east toward the coast of Asia Minor,” she writes. Her small yet hearty texts contain a wealth of information about the long history of the Monastery of Saint John the Theologian, the imprint of Byzantium on the present, the way in which locals build their mansions as well as more humble buildings. The texts guide the reader through the island’s meadows, from the arid valleys of Grikos and Kipoi, to Kambos, Livadi Geranou and Livadi ton Kalogiron. Matsouka’s images make you want to visit the island, to walk its footpaths, climb all the way to the monasteries, and swim in the crystal-clear waters. The book contains a special section on the nearby island clusters of Arkoi and Leipsoi as well as photographs of the Tiganakia islets with their breathtaking waters.